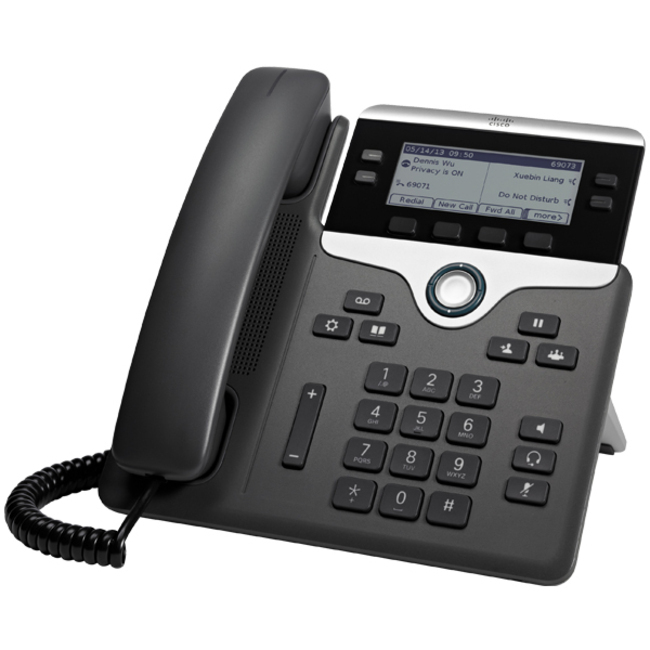 The Cisco IP Phone 7800 Series is a cost-effective, high-fidelity voice communications portfolio designed to improve your organization''s people-centric communications, while reducing your operating costs.It combines an attractive new ergonomic design with "always-on" reliability and secure encrypted communications. The Cisco IP Phone 7800 Series delivers advanced IP Telephony features and crystal clear wideband audio performance to deliver an easy-to-use, full-featured voice communications experience. The Cisco IP Phone 7800 Series is a cost-effective, high-fidelity voice communications portfolio designed to improve your organization's people-centric communications, while reducing your operating costs. It combines an attractive new ergonomic design with "always-on" reliability and secure encrypted communications. The Cisco IP Phone 7800 Series delivers advanced IP Telephony features and crystal clear wideband audio performance to deliver an easy-to-use, full-featured voice communications experience.